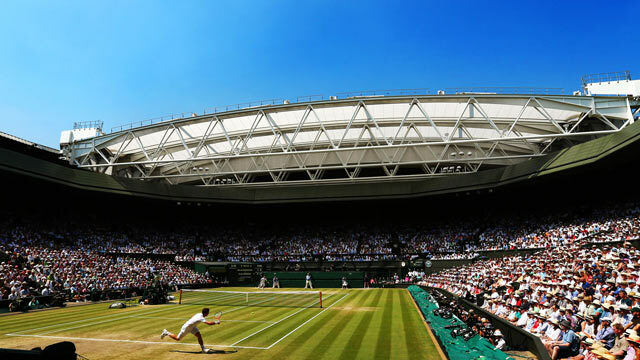 Wimbledon – Follow the Tennis match between Go Soeda and Juan Martín del Potro live with Eurosport. The match starts at 20:30 on 28 June 2012. Our live coverage lets you follow all the key moments as they happen. Head-to-head: see historical stats and visit our detailed profiles for Go Soeda vs Juan Martín del Potro. Get all the latest on Tennis: fixtures, results and tables. DEL POTRO 6-2 6-3 1-6 6-4 DelPo breaks the Japanese in the final game of the fourth, shading a long rally to take it to 30, and he is in the last 32. Next up? Another Japanese, Kei Nishikori. DEL POTRO 6-2 4-2 The Argentine wins the first set relatively easily and is a break up in the second.